Hey there my dear fashion lovers, I am so happy to see you here! 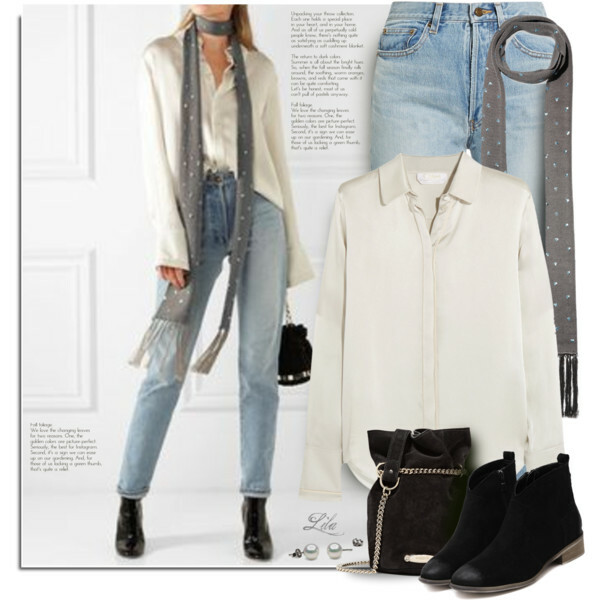 In today's blog post I decided to share my favorite Polyvore fashion sets featuring different tops you all can wear next 2018. Trust me, every single combination showcased in this article can give you an amazing style spin and make you look fabulous. No matter if it's cold or hot outside, thee outfits will show how you can wear and style different pieces together creating a unique wardrobe ideal for simple day walks or fresh nights. All in all, you may finally find a complete inspirational fashion guide on how to wear different tops next year. Cropped tank top in grey color ideally suits these charcoal cuffed denim shorts. 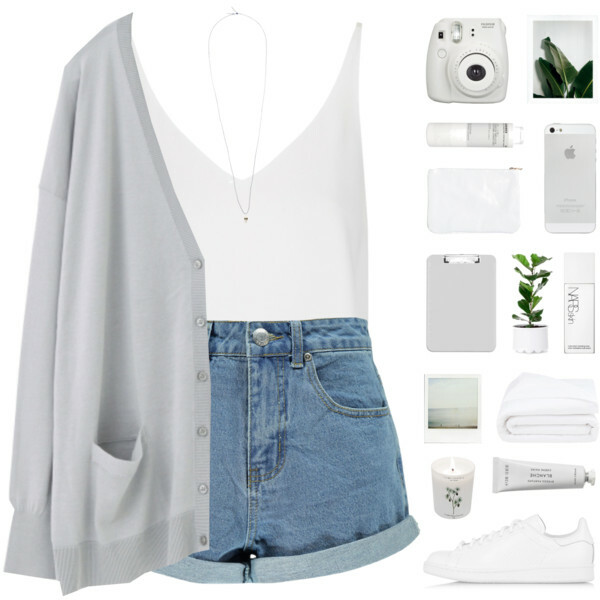 Complete this combo by adding grey backpack and black sneakers. Hi, ladies! I'd like to have your attention to introduce to you this awesome Summer 2018 Polyvore sets collection of hot tops. 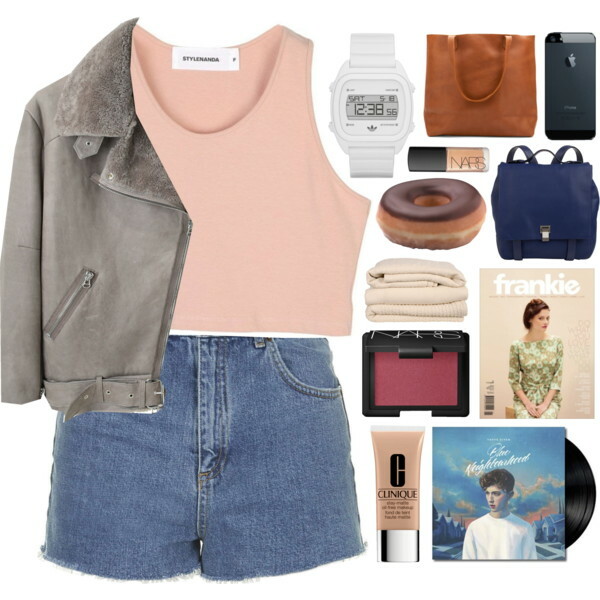 All these outfit ideas are great for girls and women who want to get out and enjoy warm weather. In this post I have picked out simple summer date outfits completed with various tops, including lightweight T-shirts, ruffled crop tops, spaghetti strap slip-tanks, slogan tees, tanks, as well as tight bustier tops. Whether you are going to a BBQ, music festival, or spending day off outside, tops are a great way to beat summer heat. There are lots of versatile designs you can dress up or dress down for different occasions. Below are presented my favorite combinations for various occasions. Keep scrolling to see my favorites. We see a cute light pink T-shirt in a shortened length teamed with white pencil skirt and platform chunky sandals in white color. This time we are going to take a tour through my favorite bustier tops. Next Summer 2018 is going to be full of these cropped tops. Why they are so popular? They are feminine, trendy and ideal to be paired with shorts, skirts and pants. I personally like strapless sweetheart neckline bustier tops, but you are free to choose whatever style you want, starting from design completed with spaghetti straps, drop shoulder, or the one with a halter neck. Trust me, this top is a perfect choice for adding curves and shape to your silhouette. The best season to wear this garment is Summer. Of course, this trend is meant only for confident women, who are not afraid to show-off their bodies. I looked for versatile bustier tops you all can wear in everyday life. 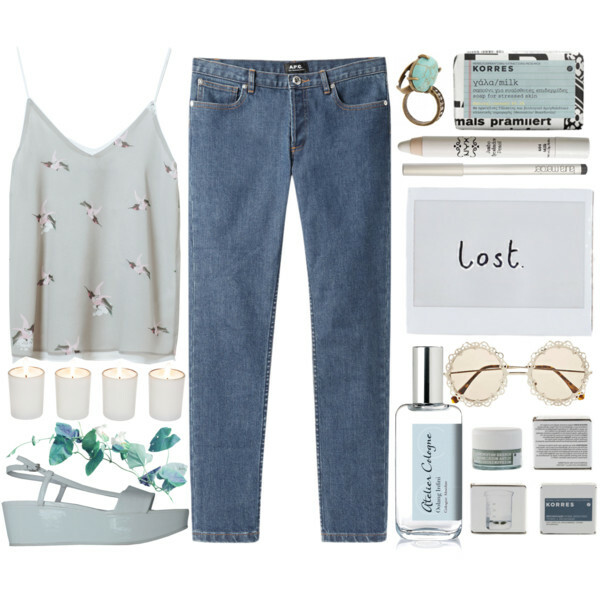 Take a close-up look through these Polyvore fashion sets and tell me your thoughts in the comments below. If you want to have fun in the city center, then you can try on this modern looking white bustier top with side cut-out details, spaghetti straps and team it with wrap blush mini skirt and white sandals.